I agree. Might just get s cover for now. Check eBay once or twice a week. Something always comes up. I found mine last summer just by randomly checking. Last edited by m81mclaren; 02-12-2019 at 04:06 PM. 1980 M81 McLaren Carb Turbo 2.3T #003P ... IT'S ALIVE after a 22 year slumber thread! Thank you all. Great data. That's what I did. This one was $89 from CJ, I think they have gone up slightly. Looks good. Is that a cover? Yep, plastic cover. I figure for my budget build it would be fine. This is a Dashes Direct brand pad that I just bought from CJ Pony Parts. Fit is good to me. The core is plastic as best I can tell with metal tabs above the glovebox / passenger panel. The defrost area had indents for where to drill the holes for the screws. Pretty easy to install. 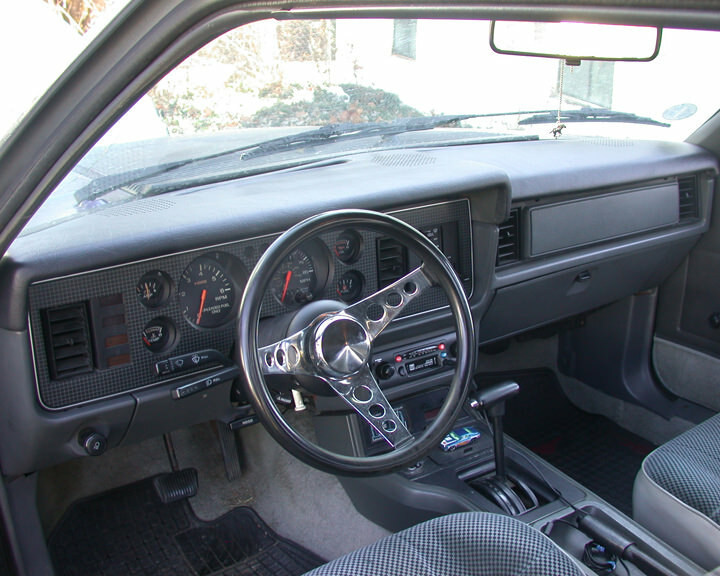 The only issue I had was the gauge bezel rubs the dash pad in the upper corners making it harder to go on. Otherwise, no real drama putting it on or with the fit.